Thank you for the pretty postcards from Normandy. You have the best of worlds there - seaside so near to lovely countryside. Enjoy your getaway to the sun! Thanks again for hosting MM, Maggie! Have a wonderful holiday - whales and dolphins - loved your Normandy themed postcards. 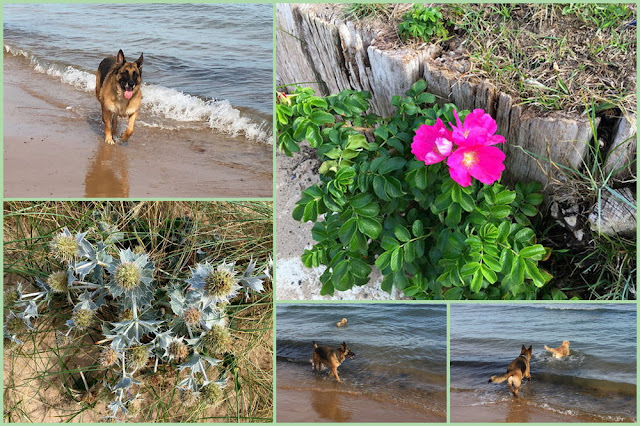 Thank you Maggie for your 102nd Mosaic Monday. Enjoy your get-a-way to Tenerife and bring back lots of "postcards" to share with us! I enjoyed your postcards from Normandy. Fleur is beautiful. Thanks for hosting! Wishing you a happy staying in Tenerife. I find the postcard idea very good and shall make my Finland I.D. with better time. Lots of sun & relaxing! Wishing you both a super vacation in the sunshine! Sounds like it is lovely there!! The postcard idea is a good one. I would love to visit. Thank you for hosting, dear Maggie! Happy Monday, Thanks for those happy postcards. Thank you for the acknowledgement, Maggie. 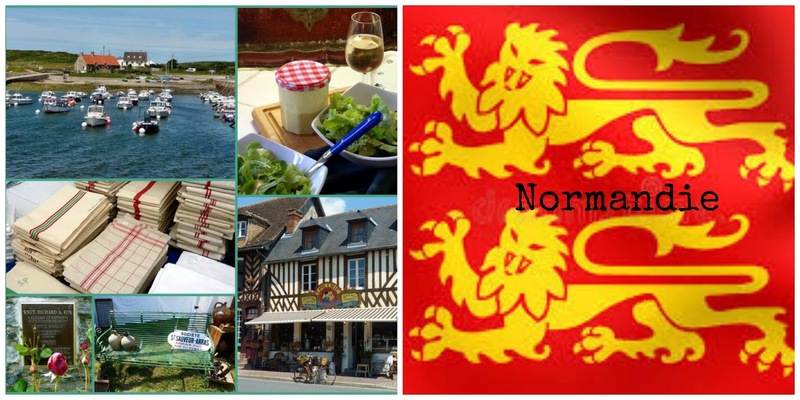 Your postcard from Normandie is wonderful and a great invitation to visit this part of the world! Have fun in the Canary Islands. We've visited there many many years ago and it was absolutely magical. Incidentally, the Canary Islands were named after DOGS, not BIRDS! Origin: from French "Canarie", via Spanish from Latin "Canaria" (insula) ‘(island) of dogs’, from "canis" ‘dog’, one of the islands being noted in Roman times for large dogs. Maggie - lovely postcards! You may have started a trend!!! Enjoy your trip to Tenerife - hope it is sunny and joyful! Thanks for hosting MM, especially while you are on holiday! It's only 5:30 on Monday here in Massachusetts (USA) but the link has already closed. Next week I will have to post on sunday to be sure I get a chance to join. I leave for work at 6:15 on Monday morning and don't always have a chance to get onto my computer before that..
Now this looks like loads of fun! Bon voyage -- have a wonderful trip! I have to look up to see where the Canary Islands are! But your get away sounds delightful. No. Lily did not like the marmalade. They needed to cut the peels more thinly, but the rest of the family liked it. Our heat finally broke yesterday. Today it is breezy and cool, a welcome relief and I think our hot weather is behind us. Now for some moisture--Are we never satisfied with the weather. And if it is sun that you seek, Colorado had over 300 days of sun--not always warm, though. Enjoy your time away.